Dr. Daniel Cordeiro is an assistant professor in the School of Arts, Sciences and Humanities at University of São Paulo, Brazil. 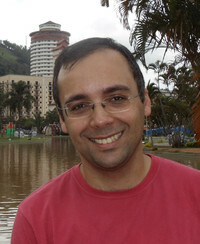 He received his PhD in Mathematics and Computer Science from Grenoble University, France, and his BSc and MSc in Computer Science from University of São Paulo, Brazil. His main research interests include High Performance Computing and Scheduling Theory (and its applications to multi-objective optimization, approximation algorithms, algorithmic game theory, etc.) His current research projects are related to aspects concerning the efficient execution of high performance computing applications on Cloud Computing platforms. Grantee of: The European Commission, with a Programme Alßan scholarship. Advisors: Alfredo Goldman and Dilma da Silva. Curso ministrado no Centro Universitário do Estado do Pará (CESUPA), Belém, PA. Slides usados no curso. For the complete list of all my scientific production, please check my Lattes Curriculum. Kelly R. Braghetto and Daniel Cordeiro. In: XXXIII Jornadas de Atualização em Informática. Julho, 2014. Marcos Amarís, Daniel Cordeiro, Alfredo Goldman, and Raphael Y. de Camargo. In: Proceedings of the 22nd annual IEEE International Conference on High Performance Computing (HiPC 2015). Bangalore, India, 2015. To appear. Alcides Araújo, Daniel Cordeiro e Alessandra Montini. In: Proceedings of the 12th International Conference on Information Systems and Technology Management (CONTECSI 2015). São Paulo/SP, Brazil, 2015. Cássio P. Alkmin and Daniel Cordeiro. In: Salão de Ferramentas do XXXII Simpósio Brasileiro de Redes de Computadores e Sistemas Distribuídos, 2014, Florianópolis, Brazil. Alfredo Goldman, Daniel Cordeiro, and Alessandro Kraemer. In: International Advanced Research Workshop on High Performance Computing, Grids and Clouds (HPC 2012). Cetraro, Italy, 2012. Ricardo Oda, Daniel Cordeiro, Rafael Ferreira da Silva, Ewa Deelman, and Kelly R. Braghetto. In: XVI Simpósio de Sistemas Computacionais de Alto Desempenho (WSCAD 2015). Florianópolis/SC, Brazil, 2015. Laércio L. Pilla, Christiane Pousa Ribeiro, Daniel Cordeiro, and Jean-François Méhaut. In: The 4th workshop of the INRIA-Illinois Joint Laboratory on Petascale Computing (site). Urbana, USA, 2010. Daniel Cordeiro, Grégory Mounié, Swann Perarnau, Denis Trystram, Jean-Marc Vincent, and Frédéric Wagner. Poster presented at: Rencontres francophones du Parallélisme (RenPar'19). Toulouse, France, 2009. Johanne Cohen, Daniel Cordeiro, Denis Trystram, and Frédéric Wagner. Presented at: Workshop on Algorithms and Techniques for Scheduling on Clusters and Grids (ASTEC 2009). Les Plantiers, France, 2009. Daniel Cordeiro, Denis Trystram, and Alfredo Goldman. Abstract in: The 21st Conference of the European Chapter on Combinatorial Optimization (ECCO XXI). Dubrovnik, Croatia, 2008. Daniel Cordeiro and Alfredo Goldman. In: 11° Simpósio Internacional de Iniciação Científica da Universidade de São Paulo (SIICUSP 2003). São Carlos, Brazil. Daniel Cordeiro and Alfredo Goldman. 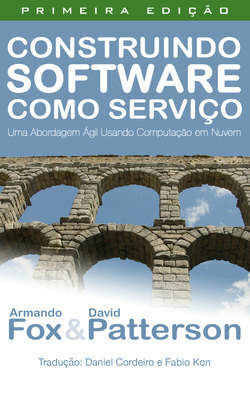 Tutorial (in portuguese) presented at the III Escola Regional de Alto Desempenho de São Paulo (ERAD-SP), 2012.